DM » PM; JDM is 20-30 x more common in children than polymyositis (6,9,50). Dermatomyositis accounts for 85-94% of all inflammatory myositis. Polymyositis accounts for 4-6% of inflammatory myositis (6,9,52). Overlap features with other CTD not unusual. Inclusion body myositis extremely rare (52). Although presentation can be acute and fulminant, it is more frequently insidious and associated with constitutional symptoms (fatigue, malaise, fever, anorexia, and weight loss) in over 50% children (45,50,53). Irritability is common. Calcinosis more than 2-3 x more frequent in children than adults with DM. Reported in 14-54% of JDM (55-57). Atrophy and contractures more common (45). Raynaud's phenomenon is uncommon (45). More vascular inflammation and thrombosis (58). Children more frequently have a multisystem vasculitis that may affect the skin, subcutaneous tissue, gastrointestinal mucosa, viscera, and nerves (59). Vasculopathic ulceration may be fatal if affecting the bowel (59). Ratio of DM:PM more even, between 0.3 and 1.5:1 (46,47,51). Dermatomyositis accounts for 15-60% of all inflammatory myositis. Polymyositis accounts for 34-50% (46,47,51,52). Disease usually clearly defined. Inclusion body myositis is seen in up to 15% of adult inflammatory myopathies (52). Calcinosis less common, reported in up to 14% (45,57). Interstitial lung disease and cardiac involvement more frequent in adult inflammatory myopathies. Atrophy and contractures less common (45). Raynaud's in 10-20% (45). Vasculitis and ulceration less commonly seen. In particular, gastrointestinal involvement less frequent (52). Very few case reports of malignancy-associated JDM/JPM in children less than 16 years (60-62). Myositis-specific or myositis-associated autoantibodies present in ~20% children with inflammatory myopathies (52). The possibility of unique myositis-specific antibodies in children is suggested (undefined as yet). Muscle biopsy shows occlusive thrombosis and muscle infarction with perivascular atrophy (45). Once remission is achieved, children achieve good functional outcomes on medium- to long-term follow-up, with the capacity to recover from damage (65). Association with malignancy well recognized, DM > PM, usually within first year of diagnosis, especially in an older age group (54,63,64). Variable risk reported, but probable prevalence of 3-15% for PM and 32-36% for DM (63,64). Myositis-specific or myositis-associated antibodies present in -60% adults. Anti-synthesase antibodies ~2x as common in adults with inflammatory myopathies than children (52). Muscle biopsy has prominent interstitial infiltrate with necrosis of muscle fibres (45). Adults with myositis report significantly poorer health compared to the general population with less capacity to recover from damage (66). Abbreviations: DM, dermatomyositis; JDM, juvenile dermatomyositis; JPM, juvenile polymyositis; PM, polymyositis. methotrexate. However, a few months later, she developed skin ulceration and was given a 6-month course of intravenous cyclophosphamide, 500mg/m2 per month. Juvenile dermatomyositis usually presents with a combination of easy fatigue, muscle weakness, and a rash. Presentation may be acute or insidious. Constitutional symptoms with fever, malaise, anorexia, and weight loss are common. Irritability is frequently seen, particularly in the younger age group. Facial swelling and periorbital edema are well recognized early in the disease course. The most typical cutaneous abnormalities of juvenile dermatomyositis are heliotrope discoloration of the eyelids, Gottron's patches and periungual erythema and capillary loop abnormalities (Fig. 2). Gottron's patches are common over proximal interphalangeal, and less commonly, metacarpophalangeal and distal interphalangeal joints. They may also occur over the extensor surface of the knees, elbows and malleoli. Rash can occur the trunk (shawl sign) or extensor surfaces of limbs. Capillary changes are a distinctive, but not pathognomonic, of JDM. Similar changes can occur in scleroderma and other connective tissue diseases. Muscle weakness is predominantly proximal with weakness in limb-girdle, anterior neck flexors, and abdominal muscles. Moderate muscle pain or stiffness can occur. Joint swelling may be present, although arthralgia is more common than arthritis. Arthritis is usually nonerosive. Restriction in joint range of movement or contractures may occur due to arthritis or, more commonly, secondary to muscle inflammation. Affected muscles may be edematous, indurated, or tender. Muscle weakness may involve pharyngeal, hypopharyngeal, and palatal muscles. Children should always be asked for a history of difficulty swallowing, nasal regurgitation, or change in voice. A speech and language assessment and video fluoroscopy is advisable as aspiration may be present without obvious symptoms. Figure 2 Skin features of juvenile dermatomyositis. (A) Eyelid heliotrope discoloration; (B) hand demonstrating Gottron's patches over proximal interphalangeal and distal interphalangeal joints; (C) nails showing capillary dilatation and drop out; (D) elbow showing calcinosis. thigh can be effectively used to localize muscle inflammation and help in the assessment of disease activity and damage in JDM (67,68). In clinical practice, many centers now use MRI in place of more invasive techniques such as EMG and biopsy (69). MRI may also be used to increase the yield of abnormal results from muscle biopsy or EMG by identifying the affected areas (70). Despite change in clinical practice, it is important to note that no single test is consistently abnormal in all cases of JDM (6,9,51,50). There is currently interest in revisiting the Bohan and Peter diagnostic criteria for JDM and including investigations such as MRI. At present clinical assessment remains the gold standard for the diagnosis of JDM with most children requiring some combination of investigations to confirm this. Erythrocyte sedimentation rate, C-reactive protein, and muscle enzymes (CK, LDH, AST, aldolase) correlate poorly with disease activity. Urine spectroscopy for skeletal muscle metabolites (71) and quantitative nail-fold capillaroscopy (72) may be useful tools in a research setting for measuring disease activity. In the absence of these as standard tools, activity is judged on clinical impression (physician's global assessment visual analogue scale) (73) together with manual muscle testing (74) and the Childhood Myositis Assessment Scale (CMAS). The CMAS score is validated up to the age of 18 years as a quantitative assessment of muscle strength, function, and endurance with excellent inter and intra reliability (75,76). Measures of disability and function (CHAQ, HAQ) and quality-of-life questionnaires such as (CHQ and SF36) can be useful in determining degree of disability, psychology, and the presence of chronic pain (77). Myositis specific antibodies are uncommon in patients with childhood presentation of dermatomyositis (78). When present, they may be more characteristic of an overlap syndrome, such as dermatomyositis and scler-oderma overlap. Treatment of JDM has become more aggressive in order to prevent long-term complications. Despite this, the evidence base remains poor, and head to head trials of different therapies are needed. The implications of therapy during adolescence are detailed in Table 1. Most clinicians would treat a newly diagnosed child or adolescent with JDM with daily oral corticosteroids 1-2mg/kg/day, combined with intravenous methylpredni-solone pulsing. The first line immunosuppressant medication for most rheumatologists is methotrexate, used by SC injection or oral administration. 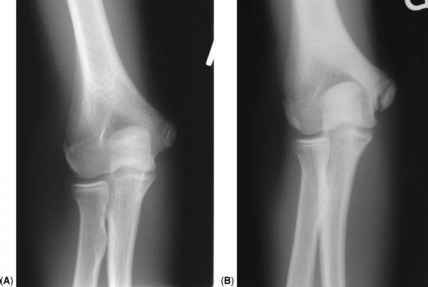 Aggressive early treatment with steroid and methotrexate has been shown to minimize long-term sequalae of JDM, such as calcinosis (79). Ciclosporin A is an alternative treatment, and works quickly (80,81). It may be tolerated with methotrexate (80). However, in the authors' experience, it may not be as good at preventing calcinosis in the long-term, and adverse effects may be unacceptable to many adolescents. There is an international trial in progress comparing methotrexate and ciclosporin in JDM. Hydroxychloroquine can be used successfully as an adjunctive therapy, particularly in those with prominent cutaneous disease (82). IVIG may be effective in some patients (83). Plasma exchange has been used in severe cases (84,85). with concomitant immunosuppressive therapy. Cyclophos-phamide (oral or intravenous) is indicated for vasculitic involvement and skin ulceration, severe lung involvement, gastro-intestinal perforation or CNS disease (86). Our practice is to use intravenous pulses once monthly for six months, with an aim to then change to an alternative disease modifying medication. Infliximab has been used in JDM with success in resistant cases (87). There are early reports of use of B cell depletion with rituximab (88) and we are also participating in an international trial of this. In addition to medication, patients with inflammatory myositis need physiotherapy to prevent joint contractures and rebuild muscle strength (89), as well as occupational therapy and nursing input. Prognosis of JDM has improved considerably over time. Before the use of corticosteroids, outcome for JDM was poor, with death in one-third of cases and severe permanent physical disability in another third (53). Subsequently, there has been a marked decrease in mortality to less than 10% (90), and an improvement in functional outcomes. The majority of fatalities occur within two years of disease onset, thus early, aggressive therapy may be beneficial in decreasing mortality and improving prognosis (91,92). Decreased bone mineral density may occur in untreated JDM and be augmented by steroid administration (93). Other causes of myopathy should be considered in adolescents presenting with muscle weakness or pain, including parasitic infections, malignancy-associated myopathy, congenital myopathies or dystrophies, or fibromyalgia.